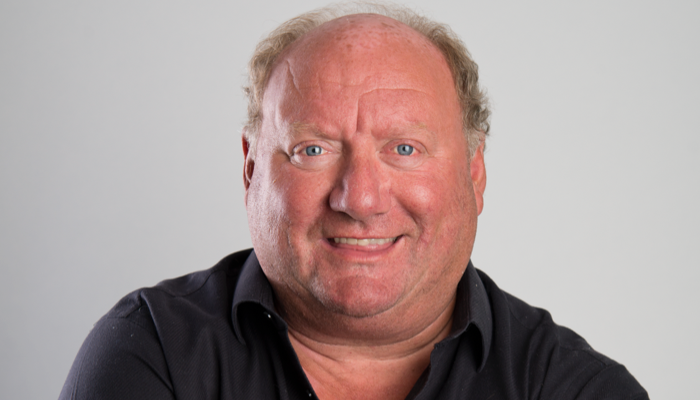 Ofcom has upheld a complaint against Alan Brazil and talkSPORT for saying a rat problem in Glasgow was because of the food storage practices of Asian people in the city. Shortly before the 9am news bulletin on 18 December 2018, Alan Brazil spoke with Mike Graham about what he would be discussing on his programme over on talkRADIO at 10:00. The topic turned to food and recycling when Mr Brazil then said: “I don’t know if I should say this. I was talking to someone the other day and he came down from a part of Glasgow in fact where my school was. And, umm, things have changed. Parts of cities have changed. Because different people move in. And there’s a lot of people there let’s say from Asian [sic] – you know from that part of the world. “But they don’t, with rice and stuff, they don’t, they don’t store it properly. And he was saying, he’s social housing this guy, and he said you can’t believe the rat infestation we’ve got there. What do you mean – how? And he was telling me people just a little bit ignorant when they come in, it’s a little bit damp and stuff like that, and where they store the food and stuff, he said its horrendous at the moment”. Mr Graham then continued to complain that in his neighbourhood food waste would “sit [in the new bins in the street] for days on end”. He said, “imagine what it’s going to be like in the summer, never mind the rats?”, adding that he lived in “the centre of London” and that compost heaps were for farms. The conversation then turned to other topics. Talksport apologised for the upset felt by the person who had complained to Ofcom, saying it was never its intention to upset or to offend listeners, but clearly on this occasion got it wrong. Talksport said that Mr Brazil’s statement (“talking about that, I don’t know if I should say this”) was “a signal to his producer that he was about to say something potentially problematic”. It said this would normally have triggered the use of its ‘dump’ facility in the studio control room, but this did not happen because the usual breakfast show producer was on leave. The Licensee said that the next day, following internal comments, one of its compliance officers had reviewed the programme and taken immediate and appropriate action. It added that: “The Wireless National Speech Radio Controller and the Head of talkSPORT each discussed the inappropriate comments complained of with Alan Brazil and with the programme’s production team to ensure that nothing of this nature will be broadcast on our air in future”. It said that it had also “reviewed, with the wider…production team involved when to use the dump button”. 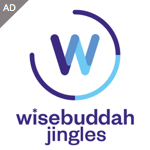 It added that it had raised awareness in this team of the“presenter verbal cues that should alert all producers to the possibility of a need to use the dump button”. Talksport Ltd said it had deleted the content from the Listen Again feature on its website. It also accepted that Mr Brazil’s remarks had been ill-judged and that they should have been deleted by use of the dump button. It further stressed that there was absolutely no intent to cause any offence and hoped the steps it had taken will prevent any recurrence. The station has since hired an experienced Compliance Manager full time, in light of this and other complaints. Ofcom said the content clearly had the potential to offend and that its inclusion was not justified by the context, and found the station in breach of Rule 2.3 of the Broadcast Code. “from Asian”? The guy’s an absolute moron. The ‘dump’ button was developed so that problematic phone-in callers could be heaved off air. I pity the poor producer who now apparently has to hover over it in case the presenter has a ‘I don’t know if I shouldn’t say this’ moment. If the presenter can’t make that judgment themselves, they shouldn’t be in front of a microphone. Simple as that. For Talksport to use a producer error to try and minimise the shortcomings of the presenter is reprehensible. Does this company only employ morons? I once heard him interviewed about his breakfast show and he said that he does no preparation for it. I have to agree with him on that – it’s very clear his brain is not functioning at all while broadcasting. God forbid anyone on air should say it the way it is, can’t offend anyone no matter how stupid they are. Are you speaking as one of the stupid ones? Alan was upset that parts of his great, native city of Glasgow are being turned into rat-infested, slum dwellings rented out by unscrupulous landlords. Although Alan’s remarks were perhaps ill-judged and not thought through, there is a massive social housing problem which needs to be highlighted. Alan is a fine broadcaster with an engaging personality and should be allowed one slip. Well let’s just hope that the ‘council of England,’ doesn’t go down the same route of the Scottish council – and close the border to prevent the plague epidemic spreading; like they did. After all, the black rat flea only killed 15% of Londons population.